On most days (except for Wednesdays and Sundays) the famous Tsukiji Market opens its doors to the public, and visitors can walk through aisle upon aisle of freshly caught seafood and see the process which gets the fish from the ocean floor to your dinner plate. Unfortunately, tourists have begun to overrun the market and these days the general public is only allowed into the market after 10 am, so the chefs and restauranteurs have time to shop without getting hit in the face with a selfie stick. Anyone wanting to head to the market earlier will find themselves wondering the streets of the Outer Market since it's open to the public as soon as the vendors arrive to open up shop. The outer market is where you'll find over 400 retails shops, grocers and small restaurants, crowded into only a few narrow alleys around the giant fish market. In the retails stores you can find anything from ceramics to spices and even fresh produce. 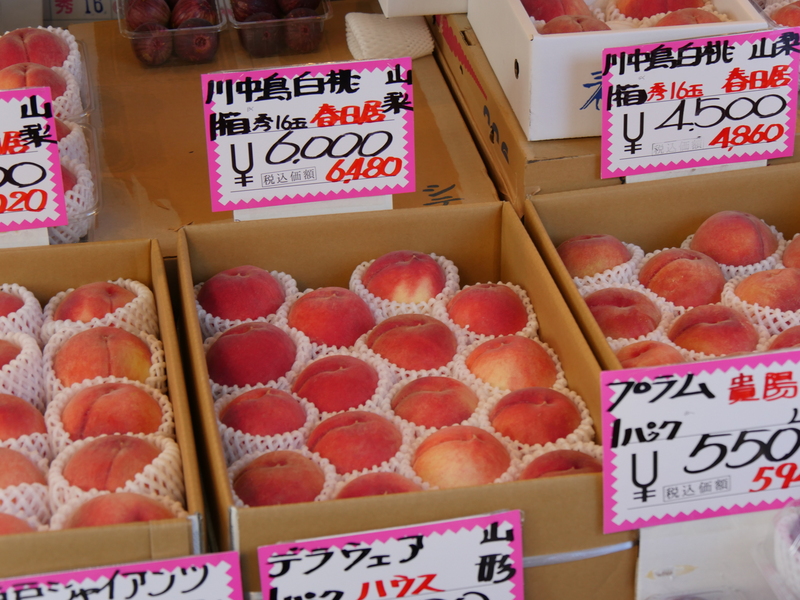 Is there anything more precious than the delicately wrapped fruits of Japan? I think not. The streets of the outer market explode with colour and excitement. Vendors yell to each other and at passers-by 24/7, making the place feel full of life even in the very early hours of the morning. The outer market is the perfect spot to grab a bit of breakfast. The restaurants can be open as early as 5 am, some with lineups starting at 3 am! I'm sure you've read all the blogs and know all the "best" places, but honestly, there is no "wrong" place to eat. Skips the lines of tourists and Yelp users and find a sushi bar with a bunch of old locals eating inside, in the quiet, enjoying the food they've been given. No fuss, no muss, just good food. 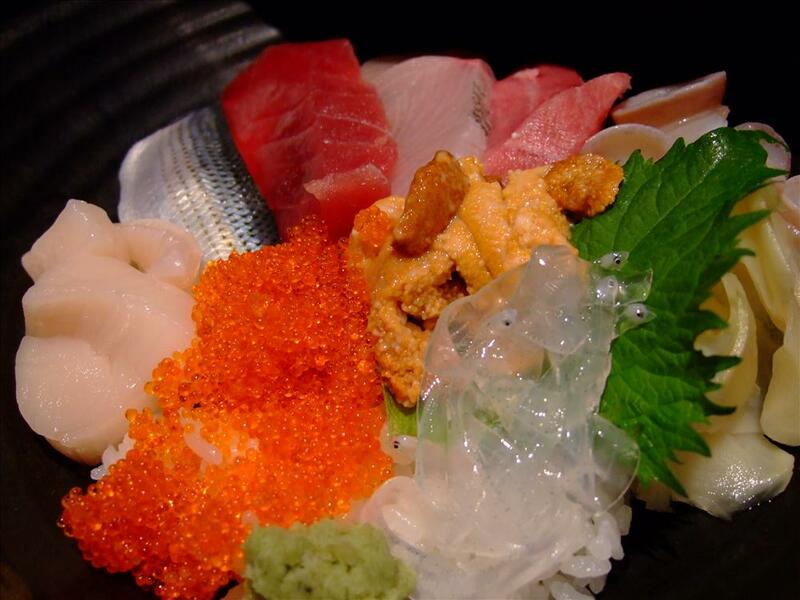 All the fish comes right from next door, and it will be fresh and tasty no matter the location. If you're a seafood connoisseur then maybe you want the best of the best, and you'll know the difference, but if you're just your every day traveller looking for something good to eat, any of these places will be right up your alley. If you're not in the mood for fresh fish, there is plenty more on offer. 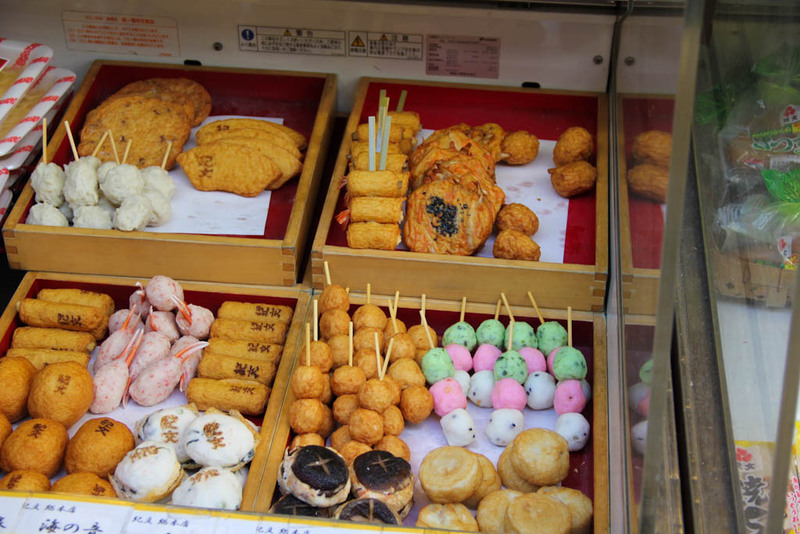 You can find Onigiri (rice balls), tamagoyaki (Japanese-style omelettes), takoyaki, udon noodle pots and more, all you need to do is poke your head a shop and see what they have inside. There are also plenty of vendors selling street food on sticks that will run you less than a dollar so you can sample all sorts of things without worrying about spending too much. And if you don't like it, at least you can say you tried it and didn't spend a fortune to do so. If you're in the mood for desserts there will always be soft serve ice cream in dozens of different flavours to choose from along the streets. Even on colder days, vendors are out there ready to give a sweet treat to anyone walking by. The outside market is home to lots of stores selling speciality ingredients that many chefs will come to buy to season their fish. Although the outer market is for everyone, you'll find professional grade knives, ceramics and other cooking utensils. The ceramics were my favourite thing to pursue. They were so inexpensive, but the designs were incredible. The vibrant colours and intricate paintings were handmade, each one a little different than the next. I was so worried about breaking something I didn't end up getting anything. I cannot tell you how sad I am that I missed out. Next time I'm there, I'll be sure to buy as much as I can carry because this area had the best selection and best prices I saw even throughout the rest of my travels! One of the greatest things to do while walking around is just to explore and see the interesting things for sale here that you've never seen before. Sure, the spices and ceramics aren't otherworldly but dried puffer fish? Tell me that isn't something new!? While there is something touristy about the market, there is also something benignly local about it as well. You'll pass hundreds of people on their way to work grabbing a snack before they get on the train, or mothers pushing prams trying to do their morning shopping. I love watching locals doing their thing, living in their city, experiencing the environments the way they were supposed to be experienced. Not as guests, as settlers. The smell in each alleyways changes from street to street. Sweet, sour, fishy, pungent and never forgiving but always changing. Since the market has turned into such an attraction over the years, it has grown too big for its current location and is in the process (or already has) been moved into a newer facility. Beside the outer market was a small building which contained small models and information booklets about the new building. Visitors could find out more inside this little building about the history of the market itself and the ways in which the new location will help improve the experience for everyone. True? Only time will tell. 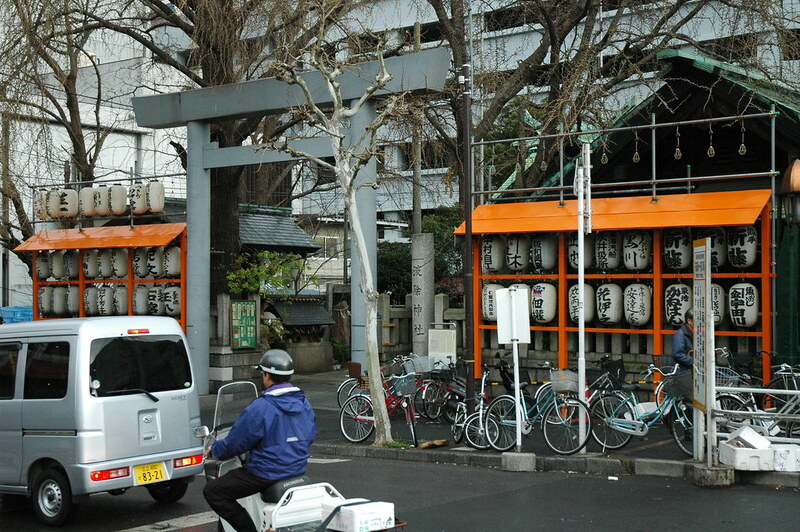 On the way into the market, there is a small shrine called the "Namiyoke Inari Shrine" which serves as the guardian shrine for the marketplace and its traders. The name means "protection from waves" which is very suitable for all the fishermen who pass by daily. The courtyard of the shrine is dotted with various memorial plaques and carvings donated by trade groups in the marketplace. An excellent way to bring happiness and prosperity to the traders. Some of my favourite souvenirs throughout the market had to be the retro, counterfeit character t-shirts designed specifically for the market. Hello, Kitty on a industrial trolley moving fish around was probably my favourite and another one of those items I regret not picking up.